When you want a low-down about of the future of the Anaheim Ducks who better to talk to then long time voice of the Norfolk Admirals, Pete Michaud, who has been calling Admirals’ games since they entered the area in 1989. The Chesapeake, VA native has been calling the balls and strikes for the Triple-A affiliate of the Baltimore Orioles, the Norfolk Tides, since 2007. 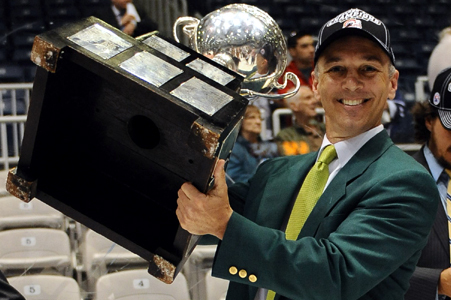 Pistol Pete as he is known gave THW the low-down on some prospects and the amazing Calder Cup run that secured the Admirals first title since the days of John Brophy and the ECHL. 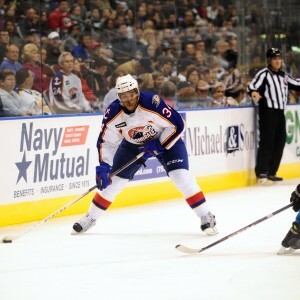 Pete Michaud calls both home and away games for the Admirals. Announcing every hockey game gives him a lot of time to scout the Ducks of tomorrow. The Indian River graduate was generous enough to share his thoughts on some of the 2012-2013 Norfolk Admirals. Emerson Etem: “Very smart, very fast, very dedicated, and very professional. For a young guy I think he understands that he has a long way to go, he has gone along way already, but he is already looking for ways to improve and picking the brains of people that have been around the game longer than him. I like his work ethic and the ways he goes about preparing himself on a day-to-day basis. You now have the 411 on some of the up and coming talent the Ducks have to offer. The buck stops at Pete Michaud when you want to talk Admirals hockey. It’s a proven fact as he was awarded the AHL’s James H. Ellery Award in 2012, which is given to three members of the media who cover the American League. Michaud struck pay dirt in the radio category.